If some of you hadn’t heard yet, the ol’ Dayton vs Kennedy blog was “hacked” and it’s archives lost. The assailant has since apologized, and some of the archives have been recovered through search engine caches. This reminded me of an article I read a long time ago [pre-blog] that reported the lamentations of bibliographers who reported that a lot (the number that sticks in my head is 40%) of online sources cited in scholastic journals were disappearing. The responsibility for your own work, for the sources, for the archiving, rests on the shoulders of the author. For all of my papers, columns, and miscellany writings I have all my drafts, hard copies of each, and for the most part I have photo-copies or electronic copies of all the sources I used. I even have hard copies of my blog archives. If you’re an author, have copies of all your work and spread those copies around to more than one archivist or library. I’m not saying that everything one writes is worth the effort of quality archiving. What I am saying is that if there’s something you want to save, be it blog archives or scholastic sources, you need to do it yourself. You can’t leave it up to blogger/google. Link to webcast on Racetotheright.com. I will not be on the show today, my voice is completely gone. I can barely whisper, and it hurts to do that. Greenspan warns about high deficits hurting economy, prescribes lower spending and warns against trade barriers. Also says our economy is doing quite well now. Story of the first video game (in 1958) with video goodness. NBC prez trash talks blogs. Number comparison between California and Iraq, and yes, I know it’s not per capita. Kensington Runestone is still cool. Prince William Sound google search, don’t ask. President Bush with a robot. Chronicles of Narnia critic fisked. Suicide bombings at 7 month low. Still problems with the flight 93 memorial? The most telling part is that the four hijackers are still going to be memorialized. Incredible. The 3 types of blog posts. 20 Types of blog posts to prevent blogger block. PVC pipes to Highland Pipes. There’s just something about a person who conjures up something useful in almost magical ways, be it fire or valuable information that results in a confrontation with some foul creature or fearsome rodent. There’s even a story about the wizard of Mauritius who could tell when a ship approached several days before the ship became visible. His method died with him, though some theorize that there was some sort of atmospheric disturbance that the wizard could detect with keen vision that would signal a ship’s approach before the ship’s visibility. Nostradamus claimed to use various desktop items to see the future. There is Orffyreus’ wheel. Macgyver’s knife. Gandalf’s Staff. And now, it is possible for all of us to become “seers” in our own offices. 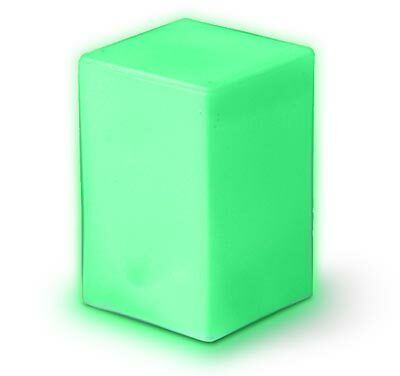 The Ambient Weather Beacon silently and elegantly communicates weather data using color and light. It glows more red when warmer weather is forecasted, and colder blue hues if cooler temperatures are on the way. The Beacon will also subtly pulse to show the chance of rain or snow. It’s a quiet interface that avoids the buzzing of cellphones and the complicated interfaces of computers. Design and technology blend, a fine glass object is revealed as a powerful weather indicator. The Orb arrives set to indicate the Dow – glowing more green to indicate market movement up and red to indicate movement down, or yellow when the market is calm. If the market is up or down more than 1.5% the Orb will pulsate. It can be customized to a set of free channels, such as market indices (Dow, Nasdaq, S&P 500) or weather in select cities. Optionally, you can upgrade to access more premium channels, such as your customized portfolio, local weather, pollen count, or IM buddy watch. 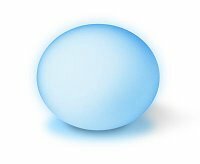 There’s also a developer interface where any semi-savvy web programmer can control the color of their Orb with a simple http “get” call. Track how full your hard drive is, traffic on your website, Slashdot posts, or your credit-card debt. It’s all in the presentation. Really, anyone could just look at you and say “oh, you just checked all that on the internet” but if you can, use a computer that isn’t connected to the internet or keep these orbs where there ain’t no internet, like Duluth. there are some occasions when you just need to do everyone a favor and turn the TV off. A certain portion of television content is just plain questionable and about as healthy as second-hand smoke. 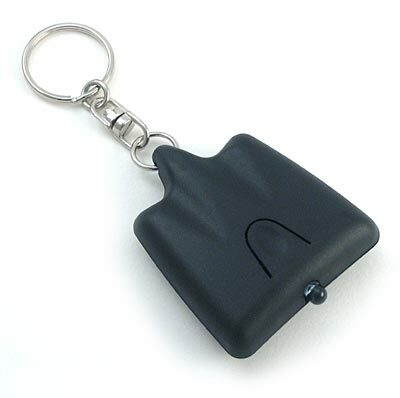 Enter the TV-B-Gone, a small television remote that hangs on your keychain and turns off virtually any television with the press of button. “Now, what would be the purpose of such a device?” you may be asking yourself. Well, without revealing too much of our devious nature we can think of a few things. Imagine sports bars or annoying talking head shows that appear on monitors at the airport. Add to that your own creativity and we’re pretty sure you’ll come up with some ideas. All you need to do is press the button and keep pointing it at the TV until it turns off (which may take up to 69 seconds).